For the Bayou works with musicians and artists that support restoration and protection of Louisiana’s wetlands and speak to the emergency humanitarian needs of the people living in South Louisiana and along the Gulf Coast. In working with these artists, we hope to educate fans on the importance of our nation’s biggest coastal wetlands, and to help preserve this environment, its culture and its people for many generations to come. 2010 brought tragedy, as well as many new challenges to the Gulf Coast and its people, wetlands, waters and animals. In the midst of these confrontations, For the Bayou worked diligently to make a positive difference for Louisiana’s coast and people. Total donations from For the Bayou in 2010 to wetland and coastal habitat restoration as well as humanitarian assistance in the wake of the BP oil spill totaled $39,450. 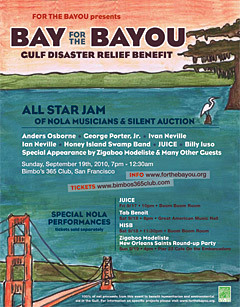 The first Bay for the Bayou 2010 event in San Francisco was a huge success thanks to many Louisiana musicians, artists and volunteers who donated their time and talent last September, we were able to raise over $40,000. View pictures from the event at http://www.flickr.com/photos/forthebayou. From this successful event, we donated $25,000 to the Restore the Earth Foundation for the Gulf Saver Solutions Initiative; this donation helped to conduct the first major restorative wetland planting since the BP oil spill in December 2010. Oil was found in the area with almost every footstep and with every dig. Rather than planting native marsh grasses as independent plants, this initiative seeks to implement a new wetlands restoration technique of planting Gulf Saver Bags, a pre-assembled package of native marsh grasses in a US Army Corps of Engineers standard biodegradable “burlap (sand) bag”, that is filled with an all natural humus mix that helps in breaking down oil. The Gulf Saver Solutions Initiative is coordinating several projects to deploy thousands of Gulf Saver environmental bags to restore native marsh grasses in wetland habitats at Pass a Loutre Wildlife Management Area (WMA), in southern Plaquemines Parish. The first of these plantings went forward on December 16 and 17, when a crew of volunteers, in cooperation with the Louisiana Department of Wildlife and Fisheries and the Coalition to Restore Coastal Louisiana traveled by airboat to distribute Gulf Saver Bags at the Wildlife Management Area that forms the southeast tip of Plaquemines Parish where the Mississippi River empties into the Gulf of Mexico. Click here for pictures and details of the planting. The wetland habitat within the Pass a Loutre WMA provides a natural home and breeding grounds for shrimp, crabs, oysters, and more than five million migratory birds. The southeastern Louisiana shoreline wetlands and barrier islands are the first line of defense protecting the area’s populations against storm surge and tidal fluctuations. This was the first wetlands restoration project in Louisiana since the Gulf Oil spill and we are proud to have supported this planting and future projects in the area. We will be sure to keep you updated on the progress of these plantings throughout the year! You can continue to support these efforts by making a donation to For the Bayou or directly to Gulf Saver Solutions www.gulfsaversolutions.com. You can also volunteer to plant. Please sign up with the Coalition to Restore Coastal Louisiana at www.crcl.org or call 1.888.522.6278. The remaining monies from our Bay For the Bayou Benefit 2010 will be allocated this spring to go toward further wetland and habitat restoration along Louisiana’s coast. Thank you to all of you, musicians, artists and volunteers who assisted in this major effort! We look forward to having you back in the Bay Area to showcase your talent and to assist us in restoring Louisiana’s coast. 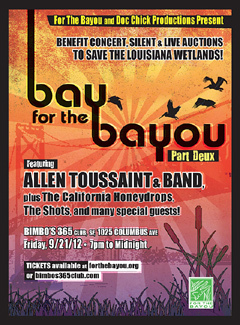 Over $40,000 in NET proceeds were raised at the 2012 Bay For the Bayou Benefit in San Francisco. For the Bayou has approved granting these funds to assist in restoring Raccoon Island, a Barrier Island of the Isle Dernière chain along Louisiana’s coast that contains sensitive, disappearing salt marshes, is as a major nesting ground for Brown Pelicans and shorebirds and acts as a barrier to inland marshes and wetlands. The restoration will be an effort led by the organization’s partner, Restore the Earth Foundation, along with assistance and financial support from the Louisiana Department of Wildlife and Fisheries, the Coypu Foundation and other generous sponsors. Click for Facebook LinkJULY 2010. SF WEEKLY & SUNSET PROMOTIONS CHOSE FOR THE BAYOU AS BENEFICIARY OF SAN FRANCISCO’S “FUNK OIL”AND THE ALL SHOOK DOWN FESTIVAL FEATURING IVAN NEVILLE’S DUMPSTAPHUNK & OTHER ARTISTS. FESTIVAL RAISES OVER $3500 FOR THE BAYOU. SAN FRANCISCO, CA. San Francisco musical group “The Brothers Goldman” and San Francisco based non-profit For the Bayou joined forces to raise emergency funds for the Louisiana wetlands and coastline. World renowned jazz night club Yoshis’ SF hosted a …”REAL DEAL PHAT Tuesday” party featuring SF’s own The Brothers Goldman. Before, during and after the performance, Bay area radio personality Linda Seabright of KRSH 95.9FM and other volunteers were on hand to discuss For the Bayou’s projects, New Orleans Music, Food, Art and accept donations. The event raised $500 to support restoration and preservation of Louisiana’s wetlands. 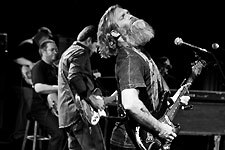 The Brothers Goldman have been playing in venues all over the San Francisco Bay Area since 2003, serving up a spicy gumbo of New Orleans street fonk and acid jazz they call Tantric Fonk. FEBRUARY 18, 2010. MOJITO & FOR THE BAYOU RAISE $3000 AT SAINTS SUPERBOWL BENEFIT. SAN FRANCSICO, CA. Mojito Restaurant and Bar in the North Beach district of San Francisco co-hosted an off the wall Saints Superbowl Benefit party with For the Bayou to raise funds for wetland restoration and awareness of Louisiana’s coastal crisis. Guests were transported to the Big Easy as the packed crowd of enthusiastic Saints fans were fed gumbo, jambalaya, red beans and rice and homemade corn bread all cooked by For the Bayou’s Founder, Elizabeth Welborn. If that was not enough, many For the Bayou representatives made homemade Mardi Gras King Cake that was passed around to the crowd. The energy and emotions ran high throughout the game with moments of despair followed by roars of cheers. Fans and transplanted Louisiana natives shared many tears as the Superbowl championship for the Saints meant much more than simply a trophy. It meant the city had survived and triumphed over major struggles after Katrina and that hopes and dreams were within reach for the city and for South Louisiana. Many guests commented the evening was their favorite evening out in San Francisco. 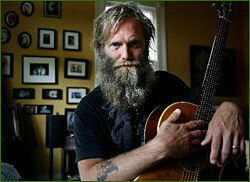 100% of the door went to For the Bayou to assist in wetland plantings and awareness efforts of the environmental crisis. We thank Mojito and their enthusiastic and heartfelt staff for their assistance in this effort! JULY 2010. ANTHROPOLOGIE CHOSES FOR THE BAYOU AS CHARITY ASSOCIATED WITH NEW ORELANS CANAL STREET STORE OPENING ON AUGUST 27, 2010. Anthropologie chooses For the Bayou for its New Orleans store opening in Canal Place in late August 2010. The popular and funky fashion and houseware chain, Anthropologie, is finally coming to New Orleans with its store opening to take place on the weekend of the 5 year anniversary of Katrina. The opening is by invitation only and will feature wine for guests and music by Thelonius Monk Institute. For the Bayou will receive 10% of the proceeds of sales that evening on the opening day. Anthropologie’s decision and timing on its New Orleans store gives hope that new companies are enthusiastic to do business in New Orleans and South Louisiana. In addition, the store has incorporated works by several local artists, including Alexa Pulitzer and Sarah Ashley Longshore. As south Louisiana’s coast continued its ongoing battle against the invasion of crude from BP’s Deepwater Horizon platform rig explosion, residents Nissa and Rick Teissier decided they wanted to help. 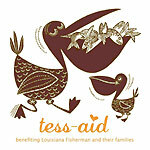 Nissa Teissier used her creative talent and compassion to pull together, in less than two weeks time, “Tess-Aid For the Bayou”, a backyard, grass roots benefit party that raised over $10,000 for fisherman and their families affected by the BP oil disaster.